The secret to the erect presentation is revealed in this Tableware Vertical Display Details reporting. An intricate wireworm runaround creates a single-purpose fitting for plate presentation. 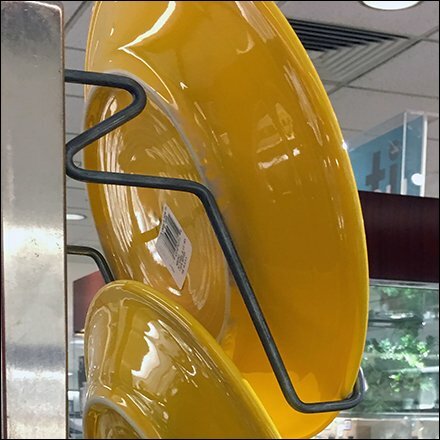 A lightning-bolt initiating element creates a built-in standoff for plate positioning. Step through views from a variety of angles in the Tableware Vertical Display Details gallery of images. Seen at Macy’s.